HOUSTON (KTRK) -- A concrete mixing truck has flipped on its side, blocking lanes of traffic in north Harris County. 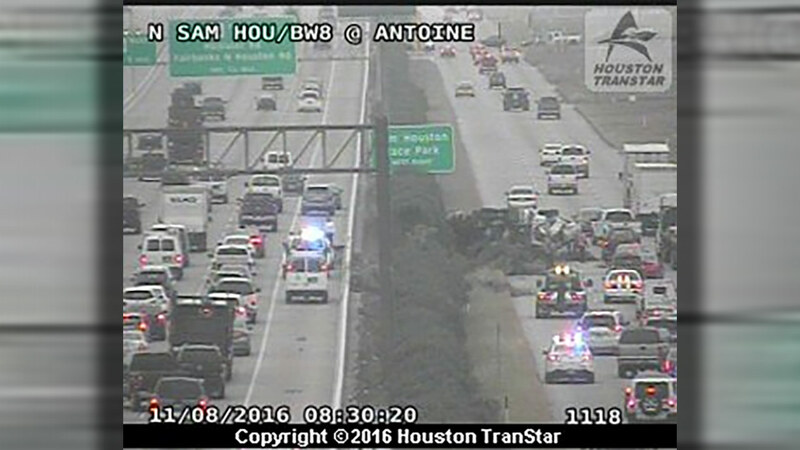 The accident happened on the eastbound lanes of the feeder road of the North Sam Houston Parkway at Antoine. The accident is blocking two frontage lanes, and the right shoulder of the mainlanes. Two vehicles are involved, but there's no word on any injuries.